On the opposite side of the spectrum are your best customers – loyal patrons who have made purchase after purchase, and talk up your business at any opportunity. These customers are your company’s cash cows. In fact, 80 percent of your future profits will come from just 20 percent of customers like these. So, what do you call the customers floating in the middle – those who have made a purchase or two, but are not yet brand evangelists in your loyal customer brigade? In a word, you call them “potential.” With a little cultivation, you can turn more of these average buyers into your company’s best customers. 80 percent of your future profits will come from just 20 percent of customers like these. If you look at the data you have on your current customers, what do you see? If you have a name and email address, you’re off to a good start, but knowing more about your customers, like, what kinds of products they prefer, can really give you a leg-up. Getting this type of info isn’t always easy. One tried and true method to collect data is to do it through an entry form in a contest or giveaway. By doing so, you have a bit of leverage; you can ask participants questions within the entry form in exchange for their entry. A better way to do this is to incorporate this data collection within the giveaway itself. 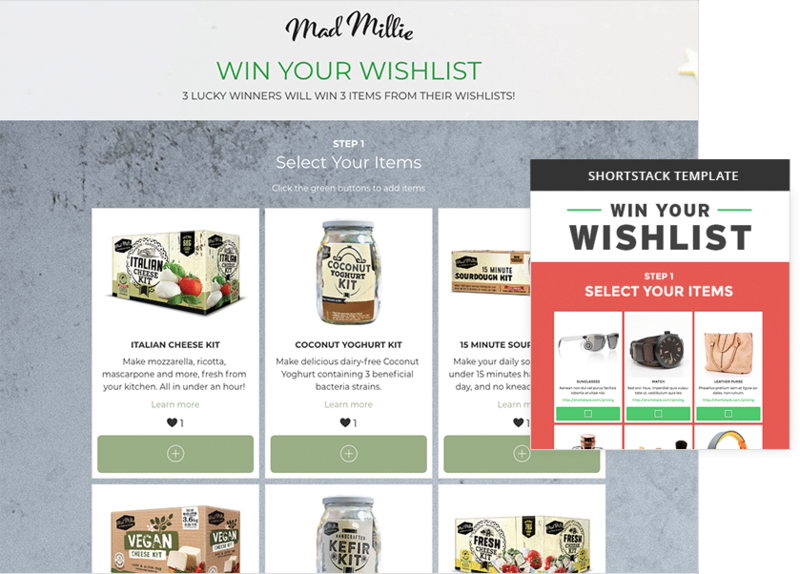 For example, in this Win Your Wishlist example, participants will select items from a list that they would like to win. Their wishlist items will be collected along with their entry and – boom! – you have a list of product preferences to draw from for future communications. We have other campaign examples that can help you gather additional customer data. 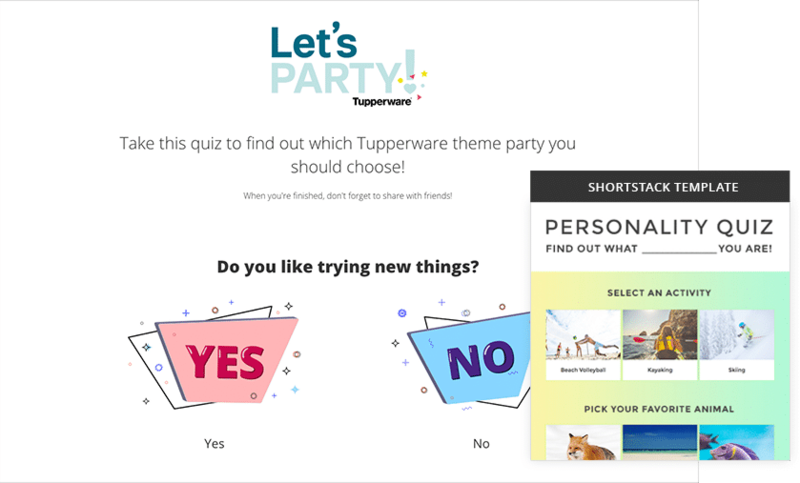 A popular type of giveaway is a “Personality Quiz” in which participants select answer options and are presented with an outcome based on their selections. Here’s an example you can test out for yourself. Your basic giveaway is great – it helps you collect data, promotes your brand, and in itself, fosters engagement. 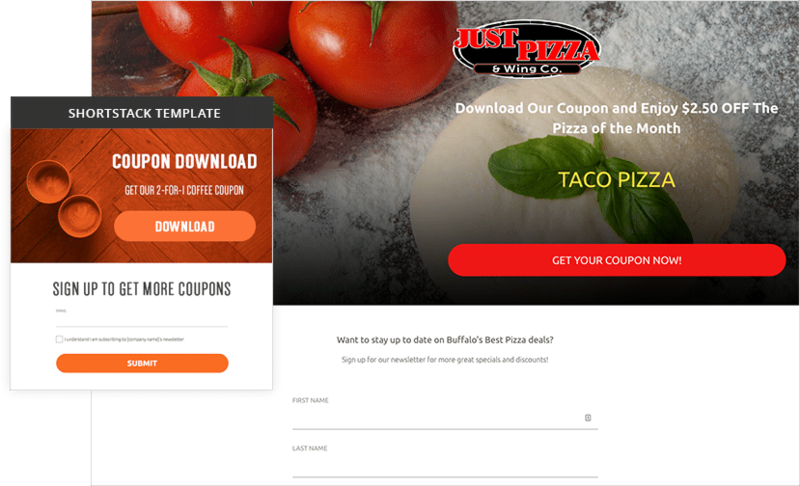 But with the sophisticated contest builders out there these days, you can go well beyond building an “enter to win!” landing page with an entry form. To nurture some deeper engagement, ask customers to weigh in on your branding or products. You can run a “pick our next flavor” giveaway, ask for some help in writing your next tagline, or, even offer a simple “vote for your favorite ____” contest. 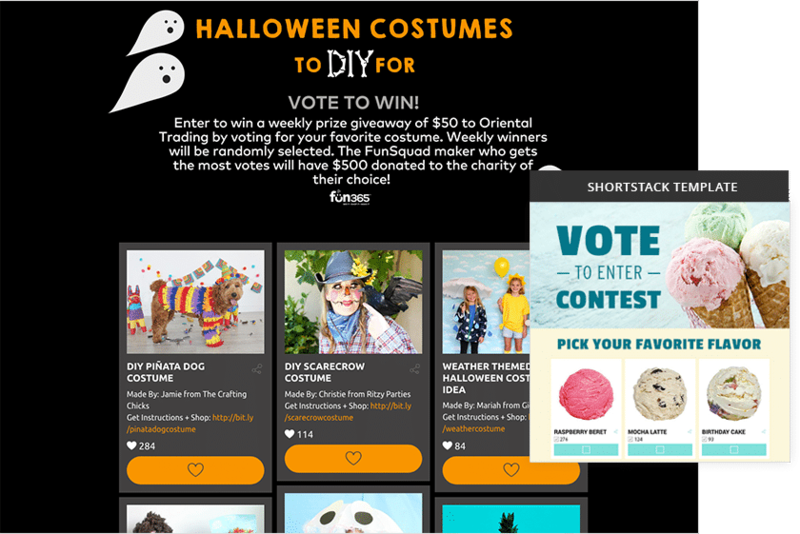 Check out this costume contest in which Oriental Trading customers weighed in on their favorite costume. One big hurdle to jump when building your base of loyal customers is getting their permission to communicate with them on a regular basis. Think about your email inbox and the emails that get read vs. those that you immediately unsubscribe from. The email lists you’re subscribed to are most likely for the businesses you love the most. Offering a coupon or discount code is a great strategy because, although it won’t necessarily convert new or existing customers to become repeat customers, it will attract those who have the potential to be. By offering a discount code or coupon as an incentive, you’ll attract those interested in making a purchase. Over time, with regular email communications and further deals and discounts, you’ll build and solidify the relationship with those who grow to love your business. There’s a reason review sites like Yelp and G2 Crowd are so popular these days. Nothing draws a crowd like a crowd, and when you have a crowd talking about how awesome your business is, it’s customer-conversion gold. To help attract and influence new customers, use your loyal brand brigade to do the work for you. Build a UGC campaign in which you collect customer testimonials. These testimonials will be visible within the campaign, but you can use them wherever you have a presence. Post them on social media, display them on your website, on a sign-up page, or even in your online store. When launching something new – a product, service, or content – it’s often helpful to do a “beta launch.” In other words, first share it with a small group and collect their feedback before releasing it into the mainstream. Some companies will hand select their beta launch group. However, by collecting signups from a larger pool for this inner circle, you can convert those middle of the road folks to loyal brand evangelists simply by giving them “exclusive” access to your newest stuff. This strategy is a win-win for you and your customer. It will not only give you the opportunity to collect feedback and potentially make tweaks to new products, your customer will feel so special as a member of this group – you’ll have a loyal customer for life. Acquiring customers is costly, and can be a huge drain on your business’s return. Implementing strategies to convert your middle of the road customers to consistent, spending machines will help with your bottom line.